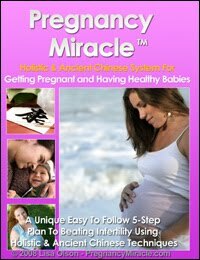 After seven years trying to conceive I finally got pregnant four weeks after I read the book, Pregnancy Miracle and followed the program. I had history of recurrent miscarriages and was also diagnosed with genetic problems. But using this system, I got pregnant naturally at 44 years old. After TWO HSGs [Hysterosalpingography] and FOUR negative IUIs [intra-uterine insemination] - including SIX induction Clomid cycles and laparscopy. Everything in the book makes sense. I am recommending this program to all my friends.